What does a Juicity Vapor Franchise Cost? 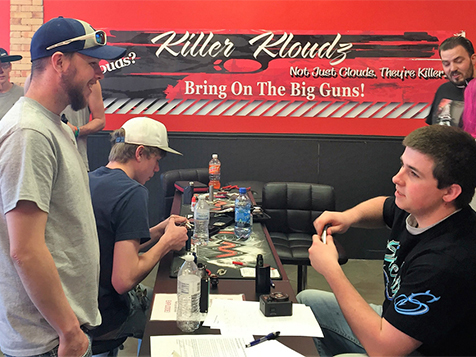 Let us show you how to run a successful vaping business. Get in on the ground floor of a smoking hot industry. Juicity Vapor is an electronic cigarette retail store and lounge that is a one-stop shop for all vaping needs. Besides product sales our stores also perform onsite repair services and most importantly offer made-to-order and custom blended e-Liquids. We are ahead of the traditional vape store concept by offering convenience knowledge and variety. Learn more today. Run a successful vaping business and play a role in helping people improve their quality of life by showing them how they can quit smoking. Juicity's unique approach to the vaping industry offers the largest variety of E-Juice in the United States. Thousands of flavor combinations can be custom blended on site. Juicity Vapor facilities are a place to relax, drink coffee, take advantage of free Wi-Fi and explore all there is about the vaping industry. There is a very broad market of people who use electronic cigarettes. According to the Tobacco Vapor Electronic Cigarette Association, there are over 3.5 million electronic cigarette users and that number is steadily growing. Relaxing Atmosphere - We are NOT your average vaping store! 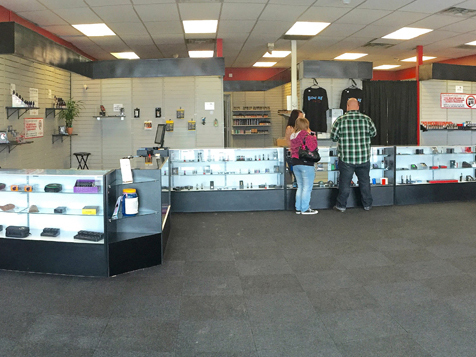 As a Juicity Vapor franchise owner your store will be more like a lounge that will offer drink service, free Wi-Fi and comfortable seating. All of our stores also feature an e-Liquid tasting bar that allows your customers to taste first before they buy any type of e-Liquid. Multiple Selections - Walking into a Juicity Vapor store, you won’t just see one brand but instead multiple brand choices. Custom e-Liquid Choices - Customers can create their own unique flavor combinations and you will have the ability to mix e-Liquids on the spot. Repair Services - As a Juicity Vapor store owner you can help customers with all of their electronic cigarette needs from selling products to offering onsite repair services and onsite custom coil building. Let our years of retail, management and marketing experience make this an easy and simple business for you to learn and operate. 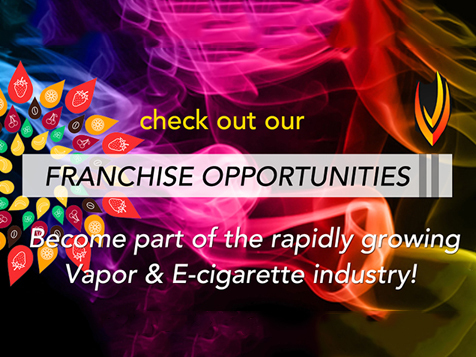 Become a Juicity Vapor franchise owner and take advantage of our generous territories. Unlike other franchise systems, we don’t charge you an additional fee for your territory. That’s right! We don’t believe in charging you for air. We’ve made Juicity Vapor an affordable business for you to own. 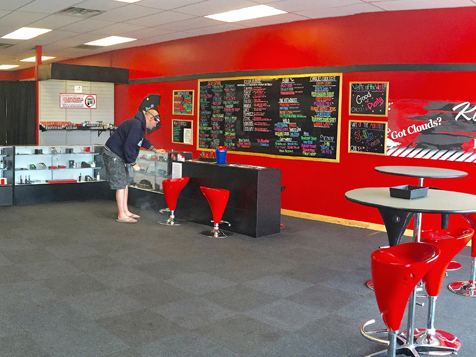 The Juicity Vapor franchise opportunity offers a great deal of flexibility when it comes to picking where you want to open and operate your store. We make it easy for you to get started. Typically a Juicity Vapor is located in a shopping mall, strip center, office complex or a free standing structure. Speak to one of our franchise representatives today. 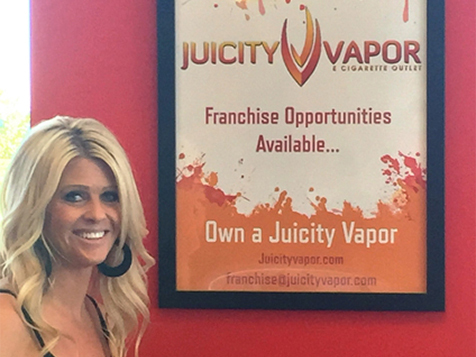 Just complete the inquiry form to learn more about becoming a Juicity Vapor franchisee.